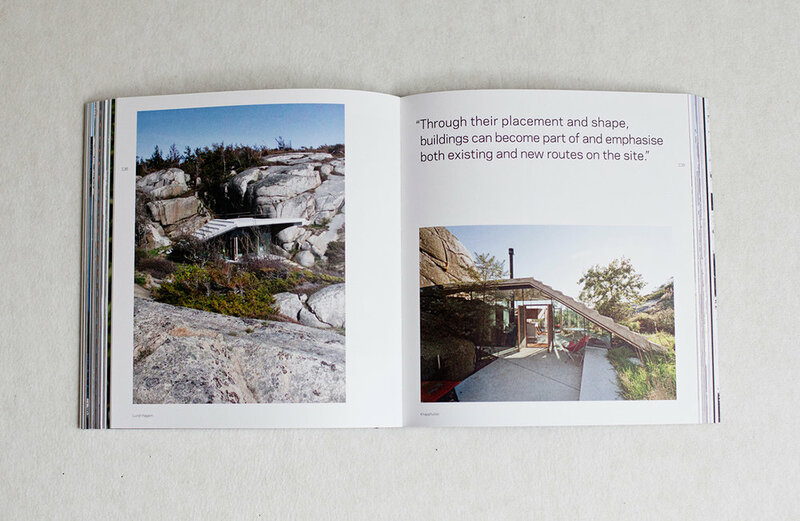 A monograph about Norwegian architects Lund Hagem. The book show off a large selection of villas and houses with a focus on location and the closeness to nature. To bring in the idea of nature we have created a ”natural" feel in terms of paper choices and the general mood. We have let the big beautiful images be central. Size: 220x240mm | Pages: 256 | Paper inside: Munken Print White 15, 150g | Cover: Soft back, Munken Lynx 300g, cloth around spine and back, screen printed silver type.